Chapel Services for Joe Mark Lawson, 68, of White Oak will be 10 o'clock in the morning, Thursday, February 14, 2019 at the Chapel of East Texas Funeral Home. Joe Mark Lawson was born in Panola County, Texas on November 12, 1950 to the late Oscar and Dorothy Parr Lawson. 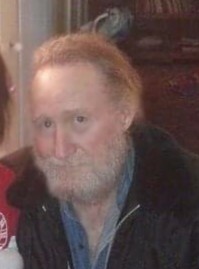 Mr. passed away on February 10, 2019 in Longview surrounded by his family. Was a graduate of Pine Tree, and Kilgore College. He retired from Letourneau Industries, and later Joy Global after more than 25years of service. Mark loved spending time with his grandchildren and fishing. He was hard working and loving husband and father. Survivors include his wife of 43 Doris Whaley Lawson of White Oak, Son, Shawn Lawson of White Oak, Son and Daughter in law Eric and Lacy Lawson of Pace, Fl. Daughter, Dana Pool Walker of Norcross, Ca. Others include one, grandson Landon and granddaughters, Mackenzie and Khloe; and several nieces and nephews.